Kenworth and Kenworth of Central Florida have donated a 2019 Kenworth T880S truck with a Con-Tech Manufacturing bridge-formula rear-discharge BridgeKing mixer for the annual CIM Auction at World of Concrete. The Concrete Industry Management (CIM) program — a business intensive program that awards students with a four-year Bachelor of Science degree in Concrete Industry Management —announced that Kenworth and Kenworth of Central Florida have once again donated a 2019 Kenworth T880S truck with a Con-Tech Manufacturing bridge-formula rear-discharge BridgeKing mixer for the annual CIM Auction at World of Concrete. "Con-Tech Manufacturing is happy to announce that we will again be partnering with Kenworth and Kenworth of Central Florida to offer a Kenworth T880S chassis with a Con-Tech Manufacturing BridgeKing Mixer," said Con-Tech Manufacturing President Dan Welsh. "What a great industry to support and thank you to all of our loyal customers which makes this donation possible. Let's get ready to bid it up and support our young people in the concrete industry." "We are very proud to once again partner with Con-Tech and our key suppliers in 2019 to donate a T880S bridge formula mixer to the CIM auction," said Hank Johnson, Kenworth general sales manager of vocational and medium duty. "Kenworth understands the importance of the CIM program to the concrete industry and is very honored to support their initiatives." "We are pleased to have this outstanding donation from Con-Tech Manufacturing, Kenworth and Kenworth of Central Florida," said Eugene Martineau, executive director of the CIM National Steering Committee. "This mixer and truck unit will go a long way to help us achieve our fundraising goal. We are excited to have Con-Tech and Kenworth join our long-term major CIM auction donors that include World of Concrete, Ritchie Bros., Mack Truck, Cemex, Lehigh Hanson, LaFargeHolcim, Somero Enterprises and Command Alkon to name a few. Because of their generosity and that of all our auction donor companies that have stepped up to support the CIM program, we have the potential for our greatest auction ever." The annual auction will be held Jan. 23 in the North Hall Room N262 of the Las Vegas Convention Center. The silent auction will be held from 11 a.m. to 12:45 p.m. and the live auction begins at 1 p.m. Once again this year, Internet bidding will be available on the Ritchie Bros. website, www.rbauction.com. To participate in electronic auction bidding, bidders must register a week in advance. Those participating in the auction at World of Concrete can register on-site. For a full list of items, visit www.concretedegree.com/auction. Those interested in making a donation should contact CIM Auction Committee Chairman Mike Philipps at mike.philipps@sandler.com or 832/472-2314. 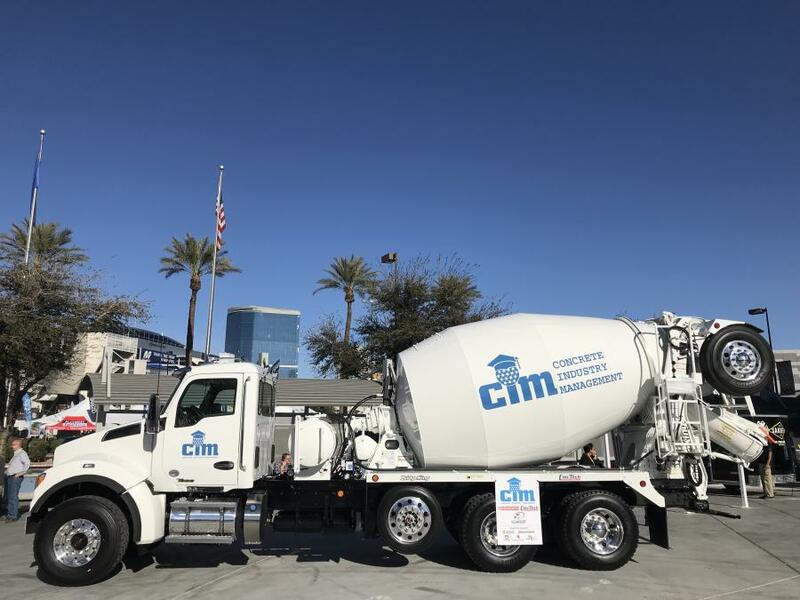 Receiving tremendous support from the concrete industry, the CIM program was the first of its kind in United States — a four-year Bachelor of Science degree in Concrete Industry Management. Since its humble beginning, the CIM program has expanded and is now offered at Middle Tennessee State University, California State University, Chico, Texas State University and the New Jersey Institute of Technology. Today, there are more than 500 students pursuing degrees in Concrete Industry Management, and hundreds of CIM graduates working in the concrete industry. The goal of the program is to produce broadly educated, articulate graduates grounded in basic construction management, who are knowledgeable of concrete technology and techniques and are able to manage people and systems as well as promote products or services related to the concrete industry. It entails a broad range of courses, from English and history to science and mathematics. A series of required business courses such as finance, marketing, management and business law also are taken throughout the length of the program. The concrete-specific courses teach the fundamentals of concrete, properties and testing, concrete construction and more. All of these courses provide much more than what is simply in the text — they emphasize problem solving, quality assurance and customer satisfaction. They utilize practical case studies and an internship to make sure the student obtains real-world experience essential to starting a successful career. Additional opportunities include on-campus socials and other events providing industry networking and professional development. In 2012, an Executive MBA program was added by the CIM National Steering Committee. The CIM Executive MBA is specifically designed for individuals with three or more years of experience in the industry. The CIM program has provided and continues to provide future leaders for the concrete industry. To learn more about the program, visit www.concretedegree.com.